Dlaczego tak wiele ludzi w zachodnich krajach cierpi na depresje? Maj� wszystko. Ludzie z wysypiska nie maj� nic. Ale mo�e maj� jak� wiar�, przyja��, poczucie przynale�no�ci do wsp�lnoty. Dobrobyt prowadzi do izolacji. Ludzie bogac� si�, otoczeni ca�� mas� przedmiot�w (domy,samochody, wyposa�enie ....). Zaczynaj� skupia� si� na tym co maj�, trac� prawdziwe relacje z innymi lud�mi? 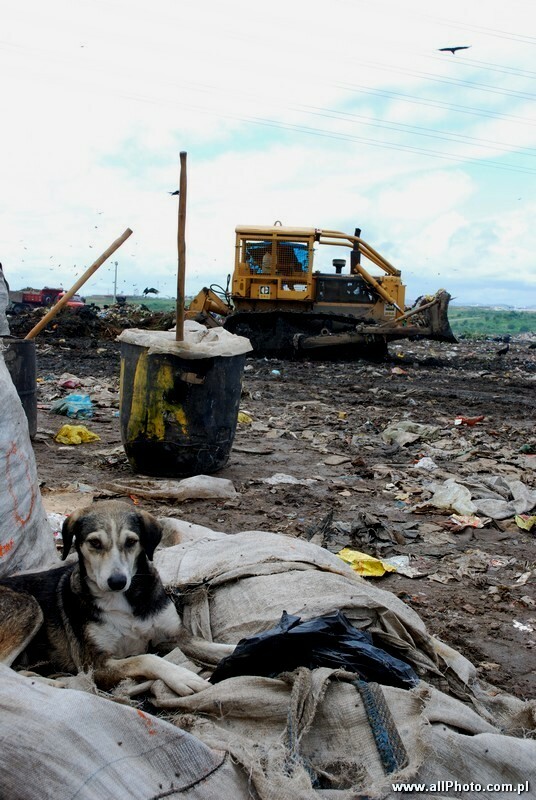 Municipal dump in Campina Grande (state of Para�ba, Brazil). People working in here deal with ? recycling ?. They pull out from the garbage everything they can. Paper, glass, metal.... Then they sell it per kilo. They are paid 0,12 R$ ( 0,05 euro) per kilogram of plastic. Stink, dirt, poverty. Waiting for next trucks with garbage is a part of their life here. Small, provisionally bulit ?houses? made of anything they can find here - foil, plastic, wood, some scrap of metal sheet. In the time of rain or heat they serve as a shelter. People in here? They do not look unhappy. They smile. They work they carry out is not an easy one. But they profoundly believe in God. ?He will take care of us?. Most of them is illiterate. They are born here and they die in this place. They do not know other life. Only a few people attend nearby school, lead by missionaries. They do not feel such need. ?Is it going to change our life anyhow?? They just live from day to day. Wonder, why are so many people in westarn countries depressed? They have everything. The Dump People have nothing; but perhaps they have a beliefs, friendships, the feeling of belonging to a community. The welthiness tends to isolate people. They are just richer and richer, surrounded by lots of things (houses, cars, equipment, etc. ), they tend to play with it and lose true relations with other people? How to get to our London Photographic Studio?